Greenlight Games and Playrise Digital have revealed that Table Top Racing: World Tour - Nitro Edition is speeding onto a Switch near you early next month. If that wasn't enough, the Switch release will also feature a brand new splitscreen mode. 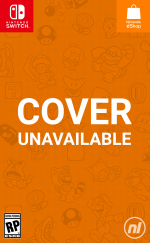 This 'Nitro Edition' of the game is a Switch-exclusive affair, featuring the main game and all previously released DLC and updates from day one. It promises "more than 30 hours of single-player campaign", with eight-player online battles and local splitscreen play for two. You can pre-purchase the game today at the discounted price of £19.99 / €22.23 / $23.99. From its official release date on 1st May, it'll return to its full price of £24.99 / €27.79 / $29.99. Do you like the look of this one? Did you play the original Table Top Racing: World Tour on other platforms? Let us know down below. Bit on the expensive side... but definitely worth considering. Looks great but $30?? $15 and I’m in! The game didn't review too well in the past. Push Square awarded it a 4/10,saying it's too slow and still feels like the mobile game it's a sequel to. When I saw this on the Eshop, Trackmania popped into my head for some reason. Loved that game on Wii and I know there' s an even better sequel on PS4. That would be perfect for Switch. In the video, it looks like the cars aren’t even connected to the track. I hate to say it, but it looks worse Re-Volt on the Dreamcast, which came out twenty years ago! @Bondi_Surfer I'd forgotten all about Re-volt. I had that game but I can't remember if I liked it. I'll watch some gameplay from it later. @OorWullie I loved Re-Volt (back in the day) - it was one of my first Dreamcast games, so I played it loads. I’m still waiting for a decent racer on the Switch; Mario Kart just doesn’t do it for me. It’s a pretty fun game on PS4 but the price is a bit high! @Bondi_Surfer Hi and thanks for the comment. Keen observation there...FYI to keep ~60hz on Switch (and also in Splitscreen mode), sometimes the CPU cars don't get their grounding shadows from certain camera perspectives - it's an optimisation for framerate purposes. The trailer has captured a bit of that. But in normal gameplay you don't notice. Not a bad little game. I played it on PS4, didn't make it all the way through though, one race I just couldn't get first place. @PlayriseDigital Do you mean it will have 60 FPS? I can live with less shadows, lower resolution, etc but I just don’t like games with horrible frame rates (like below 30). The game sure looks fun! Yeah, it's basically I reckon it's 99.5% at 60hz - maybe drops a couple of frames when there's a lot of weapons action in online mode (it's quite a strain at that point on any platform) but I also hate 30hz, so I always try and keep the goal 100% 60hz. TTR's good fun, a really good laugh online and now with Switch (only), 2 player splitscreen with a friend just adds an extra dimension to it. I've had a lot of fun playing as a "team" with someone sat next to me during QA sessions and then flipping the script on them and taking out my so called teammate - it's a brutal strategy that you can only expect revenge from. The other thing I love is that the single player game is sneakily rewarding - teaching you slowly and shifting the boundaries of what's possible as the speed and complexity goes up. It's a well balance and lengthy campaign mode that'll have you tearing your hair out and then suddenly trying a little "out of the box" thinking to get those 3 stars and then you realise it was designed to be done that way and so you get more out of it the longer you stick with it - that's what reviewers under deadline pressures are sometimes not always the best way to discover a game. Hope that helps. @PlayriseDigital Do you happen to have a video like the super car level that is running on the Switch? I have seen too much inconsistency to go by that. I dug the original game and bought the premium 5 dollar one on my phone but it is going to be a hard sell to get people to drop 30 when they are thinking it is a mobile port.. I don't have a great suggestion on how to change peoples perspective on it other than continuing to talk about the content offered and showing off the gameplay. Seriously, this looks like the racing game I’ve been waiting for. Going to read reviews before I purchase as this is too good to be true. Its defintiely not a mobile port. "Table Top Racing: World Tour" is a full 8-player networked console game - it's has never been on a mobile device. 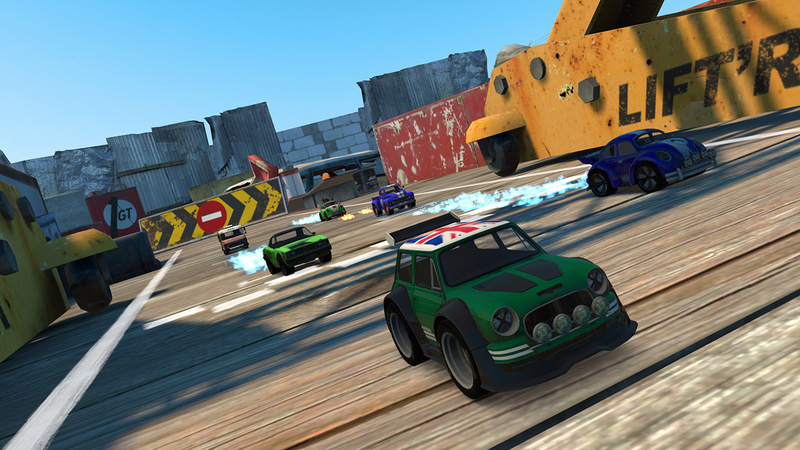 You might be confusing it with the first 2012 game "Table Top Racing" on iOS and Android. We will try and get some new videos up soon. @WhoaManWtF I was just trying to capture now, but I've had to start a new saved game - had to delete my Cheat-Enabled version - Oops. I'll have to play through the first 4 Championships in single player mode first and then try and capture you a Supercar race/challenge. @PlayriseDigital I've got both, though I've definitely clocked more hours in FAST rmx. Penny Racers lives!!!! $30 is way to steep; even $24 seems high, though. I like the fact the developer is actively engaging in communication with sceptical members here. I'm not interested in this game, but points to the developer for being cool like that. @bluedogrulez I don't I normally comment on price as we do have a publisher as a partner, but just from a gamers POV, it works our $1 per hour just for the Single player campaign - probably over 30 hours of challenges. Plus you're getting all the DLC we've ever made for the brand included and of course you get countless hours of Online play as well as Online and Offline Splitscreen too - I don't think it's unreasonable ...especially at pre-order prices But we do welcome the feedback. @PlayriseDigital Haha, alright. Thanks for the response. I am looking forward to the Switch videos! I’m definitely getting it now but even $30 is a great price! @PlayriseDigital Thanks for engaging. I appreciate developers answering questions on forums, so I’ll check out the finished version. I know you say it’s not a mobile port, but from an outsiders view it feels like an enhanced port. As a general rule, I don’t buy games that were once on iOS. But I’m happy to be persuaded otherwise. @PlayriseDigital Pre ordered, please tell me you can customize the controls. If not, please patch it in. That option isn't in there are launch, but there some presets that allow it to be played at the Supercar level with Super weapons and Wheel Weapons active. If we get a chance to patch that in, I'll keep it in mind. The default layout us good for conquering the game, but I'm also aware that customised controls can really help many disabled people enjoy the game. It is really just a time and testing issue. @Bondi_Surfer We are very platform agnostic. If it's a decent game, it's a decent game...I'm just pleased we've squeezed what was a PS4 title into the switch, retaining 60hz and adding split screen. Very proud of the switch version. Will u ever add in the 2 player mode for the Ps4 version? And why not have 4 player split screen on all platforms like most kart racers. @PlayriseDigital Thank you for engaging the forum and answering the questions. I like the look of the game, and I am leaning toward getting it. Thanks for taking a look. If you do, I hope you'll enjoy it. Most people do, round about the 3rd trophy things get more involved...and some of the Special Events definitely require a bit of thought to get 3 stars. I want a super polished isometric racer with no weapons and if possible licenced cars. Basically an isometric version of gran turismo 3 would be ideal. @PlayriseDigital I want you to know, if it is one person running this or even a team that your interactions here convinced me to buy the game. Perhaps I shall see you on the track! We are a tiny team of two at the moment. Just me doing the social interactions. We do have a publisher partner, Greenlight Games, so I haven't played the Indie card, but we've been completely Indie for 7 years until now, but with Greenlight, we've been able to work with a Polish team called Fuego games to get this optimised to a point where we can bring splitscreen and still keep 60hz. I've been scouting the eshop for a while and I'm pretty proud that TTR will stand up next to the good stuff. Thanks if you did pre-order it. Really appreciate that.